Over the weekend we deployed a new version of the GMass Chrome extension with a long overdue feature — the ability to set a friendly name for your mail merge campaign. 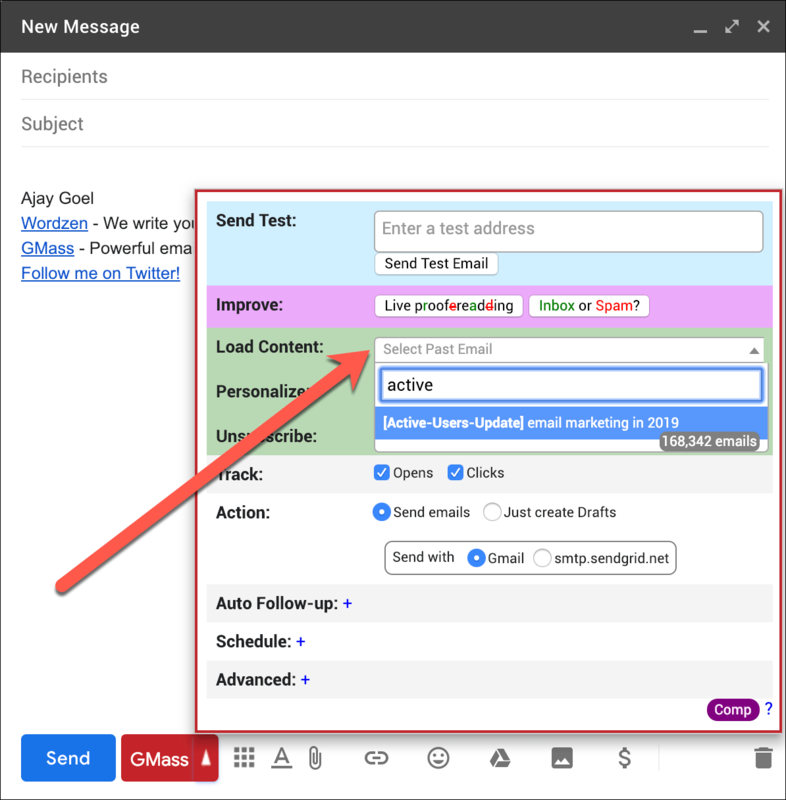 If you’ve been a GMass user in the past, you likely know that we primarily used the Subject Line of your campaign to identify your campaign in Reporting and in the notifications we send you to update you on the progress of your campaign. If you set a friendly name, that name will appear in most communication you receive about the campaign, including Reports. 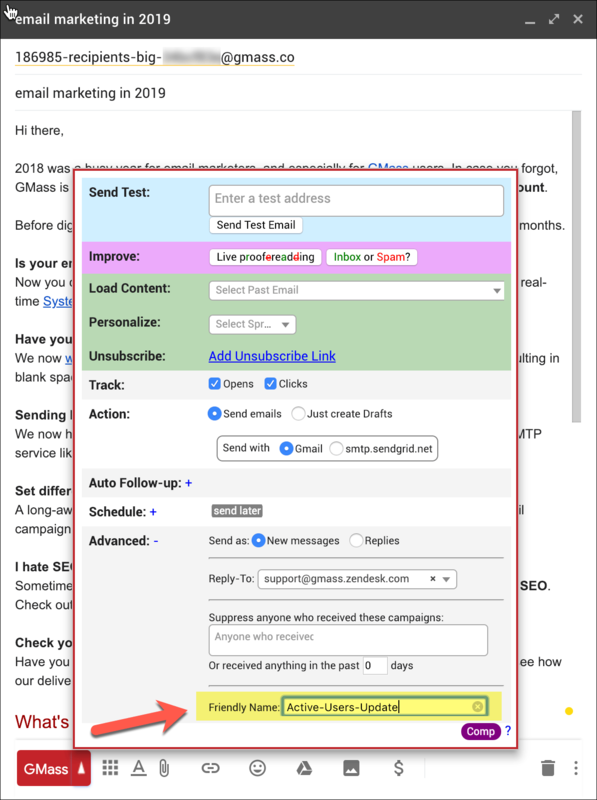 The friendly name will also show in dropdowns where you select a campaign, like when you load content into the Gmail Compose window, or when you are sending a behavior-based followup to non-openers, for example. You can then search the dropdown using that friendly name. Type a few characters of the friendly name, and you’ll get the matching campaigns. Here in the “Load Content” dropdown, I search for “active”, and my campaign with friendly name “Active-Users-Update” shows up. To set a friendly name, just expand the Advanced section of the Settings box, and you’ll see it as the last field. Setting a friendly name is as easy as thinking of one. It’s really that easy. Your friendly name can be a single word, or a phrase, or a made-up word — anything to help you remember or “tag” this email campaign in a way that’s important to you so you can reference it later. Once you set a friendly name for a campaign, you can only change it as long as the DRAFT for that campaign exists. The friendly name can contain non-English characters and can be up to 100 characters.